Hanover County Economic Development is partnering with Hanover County Public Schools and the Capital Region Workforce Partnership to host a Summer Opportunities Fair on Saturday, March 30, 2019 from 9:00 am through 1:00 pm at Life Church located at 8378 Atlee Road, Mechanicsville. This event, which is free to employers and attendees, is an opportunity for local government, businesses, and not-for-profit organizations to publicize summer opportunities, including jobs, volunteer opportunities, internships, and leadership development openings for youth ages 14-24. 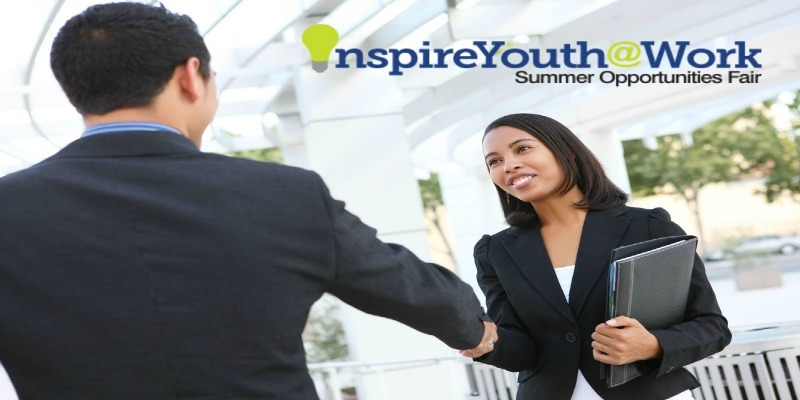 This is the first year InspireYouth@Work has been held in Hanover County, and it is being heavily promoted in the schools and through partner organizations. This event is held annually in neighboring localities, and typically draws between 300-500 youth seeking summer opportunities. For more information and to register to attend as a participant at the Hanover event, please visit InspireYouth@Work or contact Brandon Turner with the Hanover County Department of Economic Development at (804) 365-6459 or bsturner@hanovervirginia.com. If your business would like to reserve a table at this event, please click here to complete the registration form. If your business would like to have a presence at the event but a representative cannot be available on March 30, please contact Hanover County Economic Development to provide literature for display.